Published posthumously with Northanger Abbey in 1817, Persuasion crowns Jane Austen’s remarkable career. It is her most passionate and introspective love story. This richly illustrated and annotated edition brings her last completed novel to life with previously unmatched vitality. 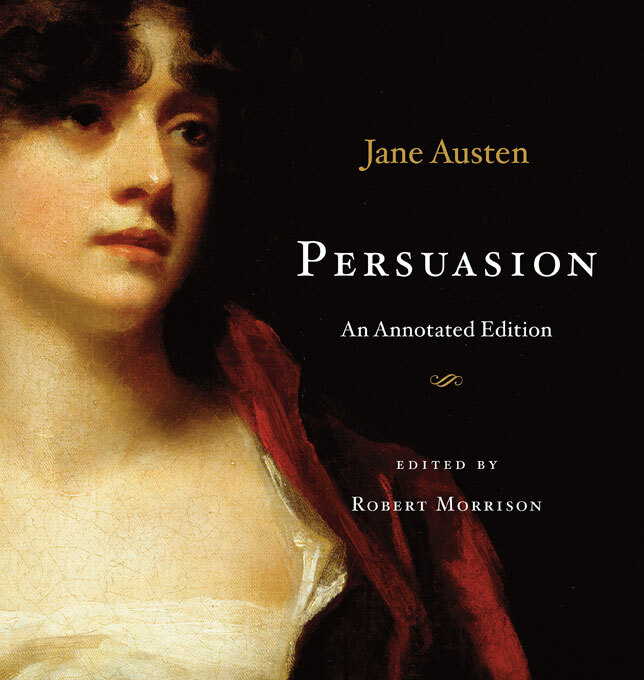 In the same format that so rewarded readers of Pride and Prejudice: An Annotated Edition, it offers running commentary on the novel (conveniently placed alongside Austen’s text) to explain difficult words, allusions, and contexts, while bringing together critical observations and scholarship for an enhanced reading experience. The abundance of color illustrations allows the reader to see the characters, locations, clothing, and carriages of the novel, as well as the larger political and historical events that shape its action. In his Introduction, distinguished scholar Robert Morrison examines the broken engagement between Anne Elliot and Frederick Wentworth, and the ways in which they wander from one another even as their enduring feelings draw them steadily back together. His notes constitute the most sustained critical commentary ever brought to bear on the novel and explicate its central conflicts as well as its relationship to Austen’s other works, and to those of her major contemporaries, including Lord Byron, Walter Scott, and Maria Edgeworth. Specialists, Janeites, and first-time readers alike will treasure this annotated and beautifully illustrated edition, which does justice to the elegance and depth of Jane Austen’s time-bound and timeless story of loneliness, missed opportunities, and abiding love.